Hi, I’m Brodie. 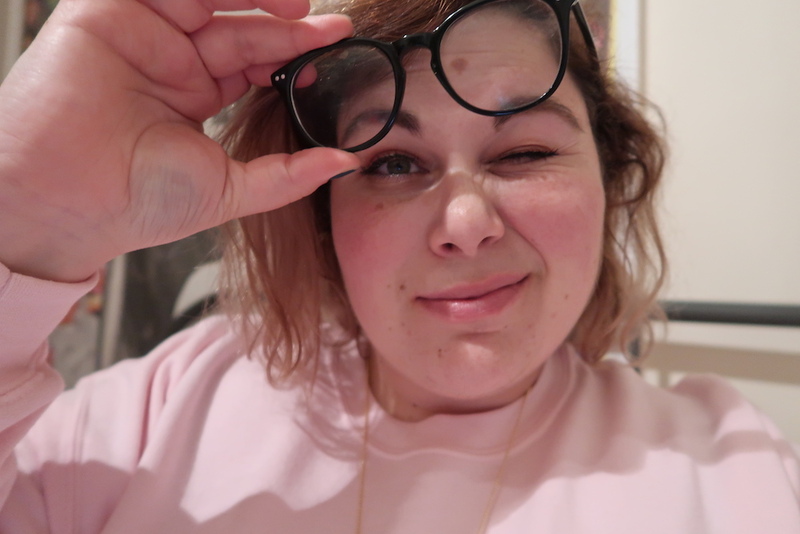 I’m an author and editor from Melbourne, Australia, and this is my silly face. I spent a lot of years — basically the first 25 of them — kind of apathetic about my skin care and beauty routine. I had that dumb, “Stupid Girls” idea that you couldn’t be smart and hardworking and still care about how you look. 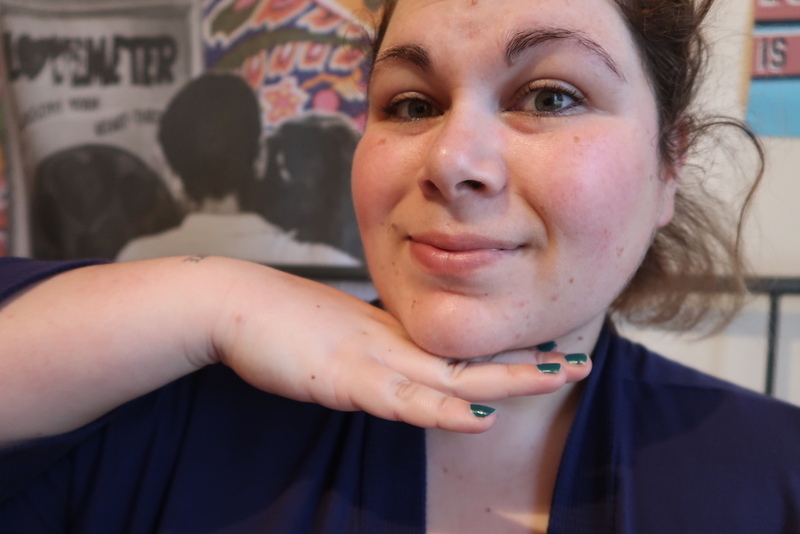 But then I got hypnotized by YouTube beauty tutorials and immediately fell head-first (and credit card-first) into an obsession that made me realize my shiny face didn’t negate my shiny insides. 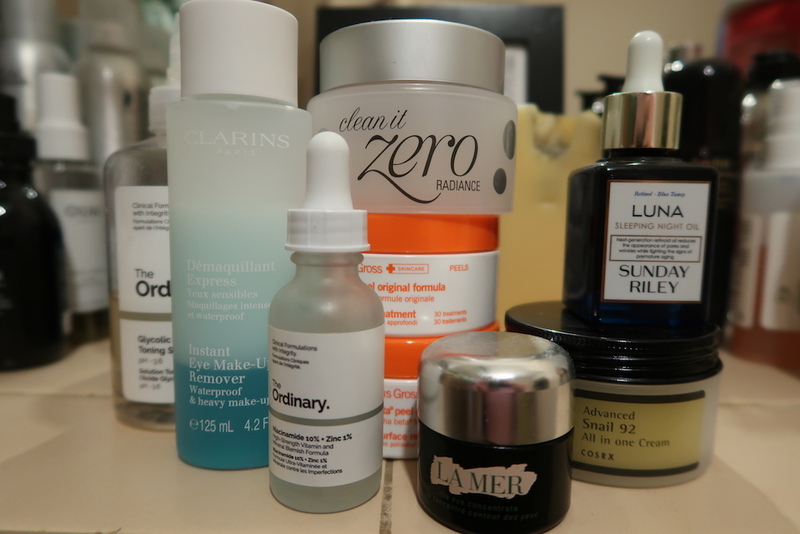 Last year, I went from a simple three-step skin care routine, using almost all Aesop products and the occasional mask or treatment, to a 10-step Korean-inspired regimen. I went from arriving at work early to being just on time (and occasionally late) because I spent mornings playing with my face and watching women on the internet paint theirs. 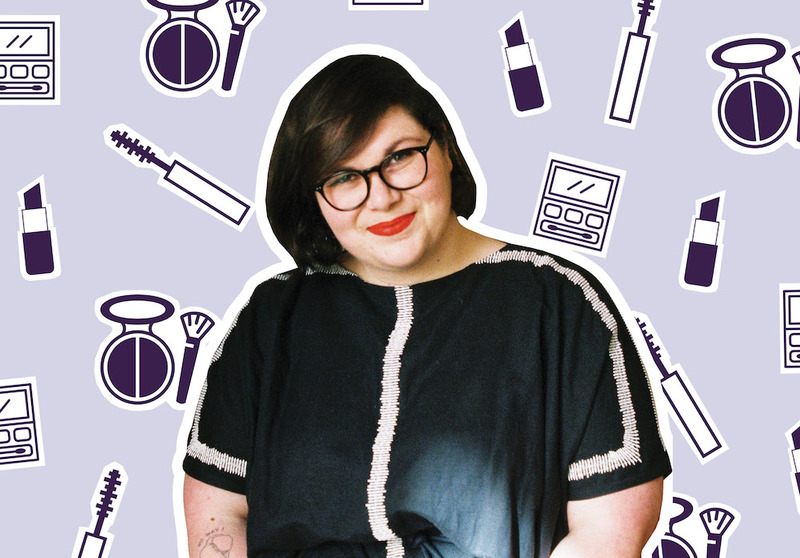 I’ve since pared back and stuck with the things that really work and make me feel fancy and fresh and more like myself. It’s a pretty even mix of bougie investment products and cheaper, fool-proof staples. I work in an office four days a week and take one weekday to freelance. I was going to chronicle my face routine on that day off but decided to stick with the reality of my working day face to show how I slather everything on and still manage to get to the office early (I’m writing this at my desk at 8:20 a.m. Hi!) rather than what I do when I’m not on such a strict schedule. 5:45 a.m. — “Better” by Lil Yachty wakes me up. I know, it’s super early. I’m naturally an early riser and have been trying to get to sleep before 10:30 p.m. lately and find this is the perfect time to wake up. I feel rested, but not groggy, and have enough time to get ready, eat breakfast, laze around, and still take my time getting to work. The first thing I do is wash my face with Glossier Milky Jelly Cleanser ($18). Usually, I’d do this step in the shower, but I did a hair mask last night that required me to shampoo, towel dry, let the mask sit on my hair for half an hour, and then wash it. It was incredibly annoying, and it means I effectively showered twice, so I skipped one this morning. Next, I apply Shiseido Future Solutions Softener ($105) with a cotton pad. 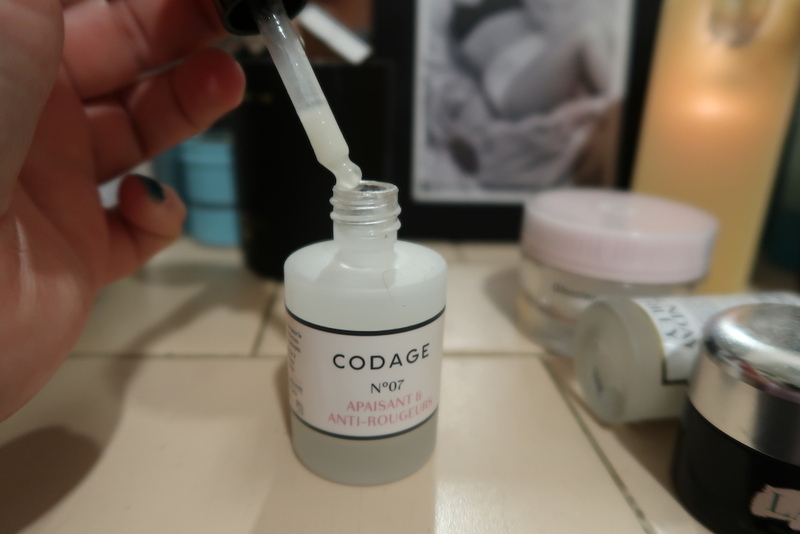 It’s an expensive purchase, but after scamming a few samples from Sephora last year, I genuinely noticed an improvement in my skin’s texture and shelled out for a bottle. I’ve since bought a second. I literally can’t feel or see my pores, and maybe I’ve drunk the Kool-Aid, but my skin feels brighter since I added this to the routine. I mean, look how goddamn zen I am in that picture up there! While it’s sinking in, I brush my teeth, run to the kitchen to turn the kettle on, and pop a bagel into the toaster. Next, back in the bathroom, I squeeze out about half a dropper of the Codage No. 7 Soothing and Anti-Redness Serum ($109). 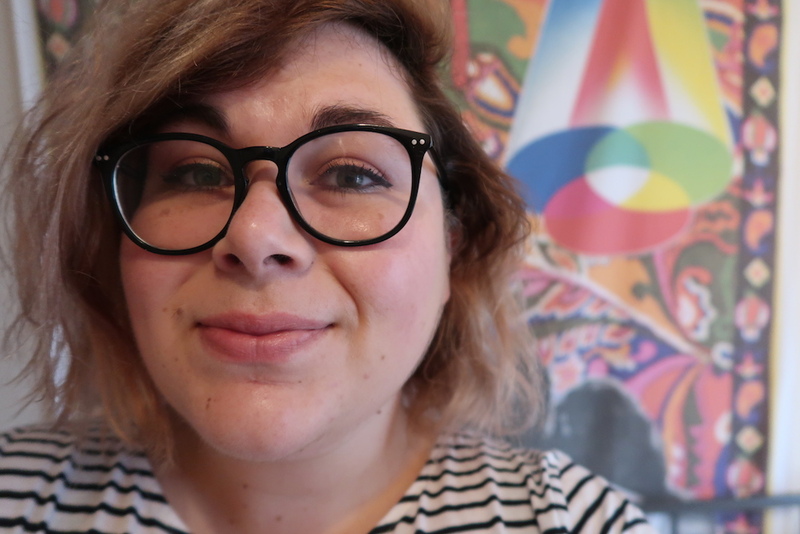 I have a naturally red face and always gravitate towards anything with cooling, calming claims even though I know, in reality, my face is just always going to look like this. I’m okay with it. Almost done! 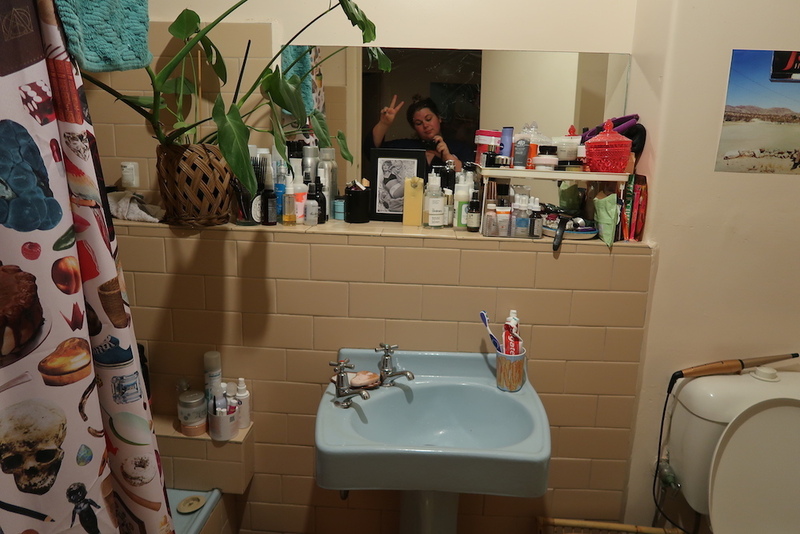 I recently bought Sunday Riley Good Genes ($158) after seeing it in my friend’s toiletries back on a trip we took, and about two days after watching ChelseaWears on YouTube raving about it. I never really understood what it was. I kind of still don’t, tbh. I Googled “when do you apply Good Genes” before writing this because I wasn’t 100% confident and didn’t want to get it wrong in this story, but after trying it once, I was super into the plumping and brightening effect it had before I slapped on moisturizer and makeup. 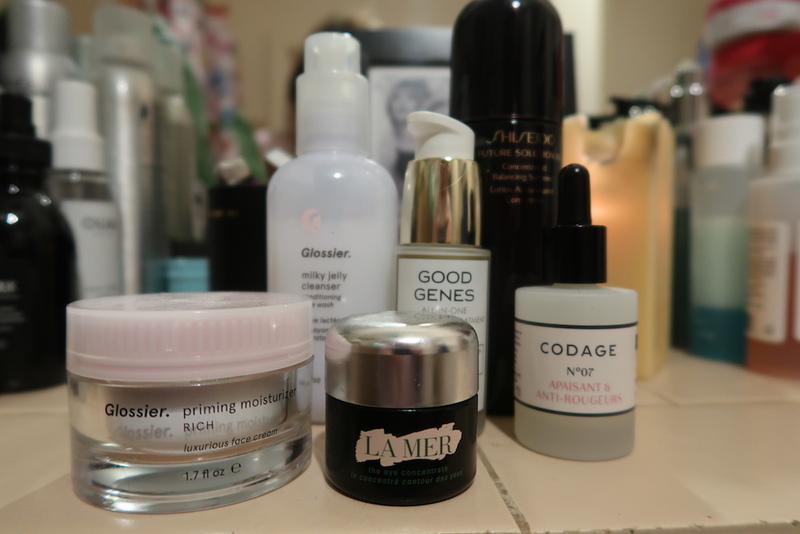 I apply a little Glossier Priming Moisturiser Rich ($35) – it’s heavy, so usually, I only use it at night, but I got caught up with photographing things and just did it. 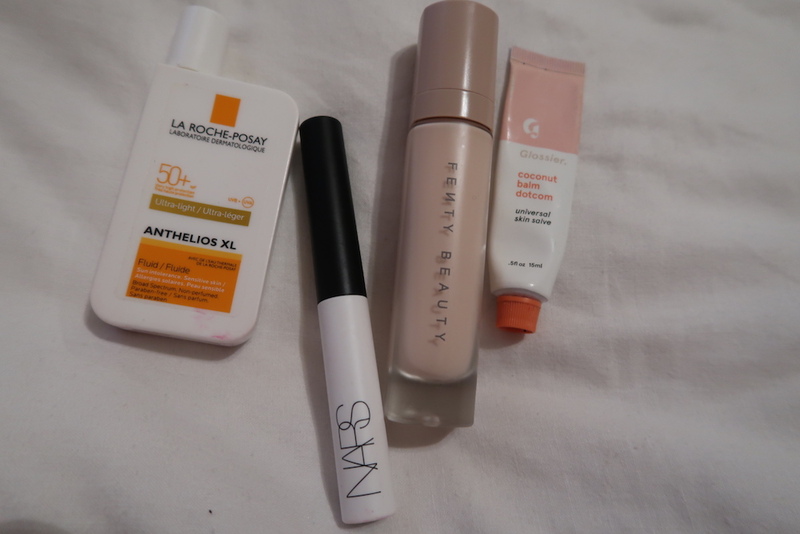 Normally I use a tiny squirt of The Ordinary Magnesium Ascorbyl Phosphate 10% ($9.60) – and dot some La Mer Eye Concentrate ($205) under my eyes. This is easily my most indulgent purchase, but after trying it last year and deciding it was too expensive to buy, I started buying different, cheaper eye creams and nothing measured up. I finally shelled out for the real thing back in July and, despite using it twice a day since, I’ve barely made a dent in it. I hate to tell you a $200-ish eye cream is worth it…but…this one is????? I KNOW, I’M MAD AT ME TOO. It comes with this weird magnetic wand I never use but wanted to photograph. On my head is a different story. I dyed my virgin brown hair blonde in February and have freshened it up a few times since. And it’s fried. It’s totally dry and dead and especially terrible today — very annoying considering the aforementioned hair mask I did last night. I let it air-dry rather than beating it with heat, but I still woke up with barbed wire on my head. I gently brushed it out, did a few waves with my curling iron on a low setting, spritzed the roots with Oribe Dry Texturizing Spray ($44), and ran a pump of Ouai Hair Oil ($28) through the dry ends. This is very much a “that’ll do” kind of day, hair-wise. I’m sad. 6:30 a.m. — It’s base time. Sitting cross-legged in my bed, with Schitt’s Creek (TV series) playing in the background and my bagel and coffee next to me, I start on my base. I know the items in this picture look like the least appealing products, but they’re the ones I’m all about right now. First, I swipe on a few finger loads of Glossier Stretch Concealer ($18) on my cheeks, chin, and nose. 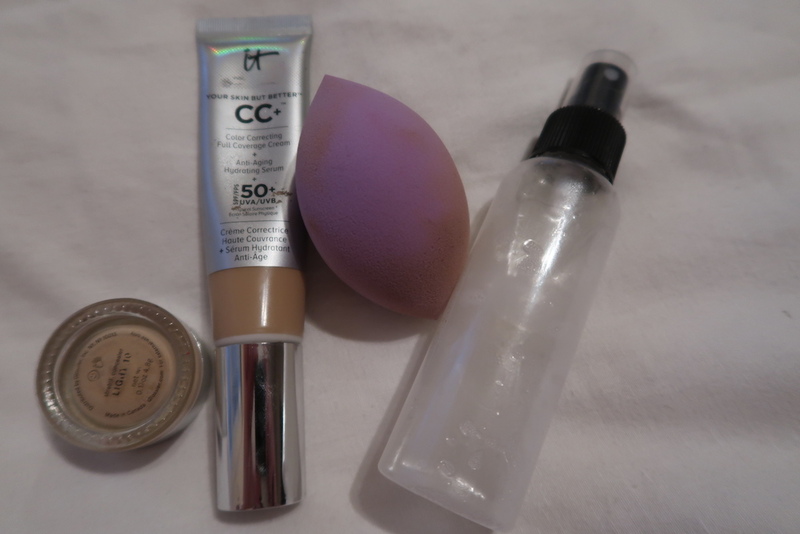 Without blending it yet, I squirt a little IT Cosmetics Your Skin But Better CC Cream ($38) on the back of my hand, and blend it — and the concealer — in in one fell swoop. I’ve just started using a generic brand beauty sponge that I spritz with setting spray to get it a little damp. This is Urban Decay Chill Cooling And Hydrating Makeup Setting Spray ($32) that I had to decant into a travel size bottle because the pump sucked and never worked. Now, time for colour! I boost up my brow volume with the Hourglass Arch Brow Sculpting Pencil ($34) and a little Glossier Boy Brow ($16) to set. 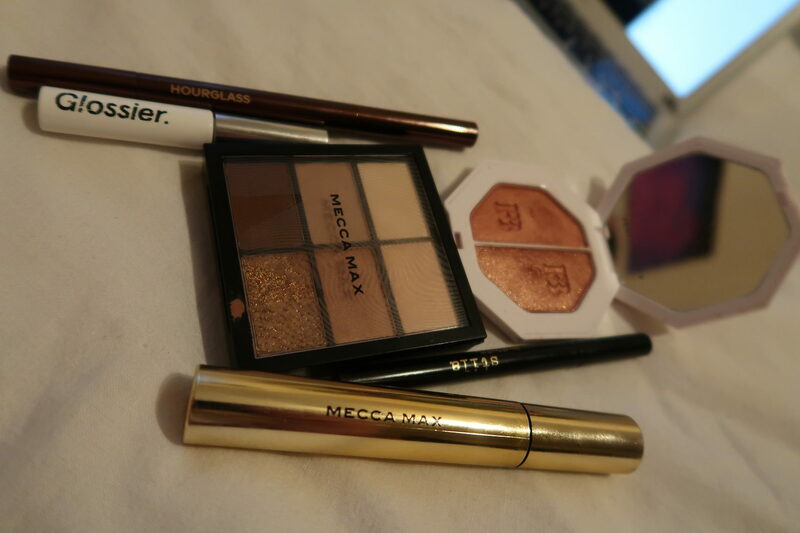 On my lids, I start with a pretty neutral shimmery shade from the Mecca Max Wink Weapon Mini Palette ($30 AUD) in Embellished, then decide to get a little more Fenty Beauty in there, with a smudge of the highlighter shades Ginger Binge and Moscow Mule ($34 each). Then, I try to keep steady and draw a line of my fave Stila Stay All Day Waterproof Liquid Eye Liner ($22). 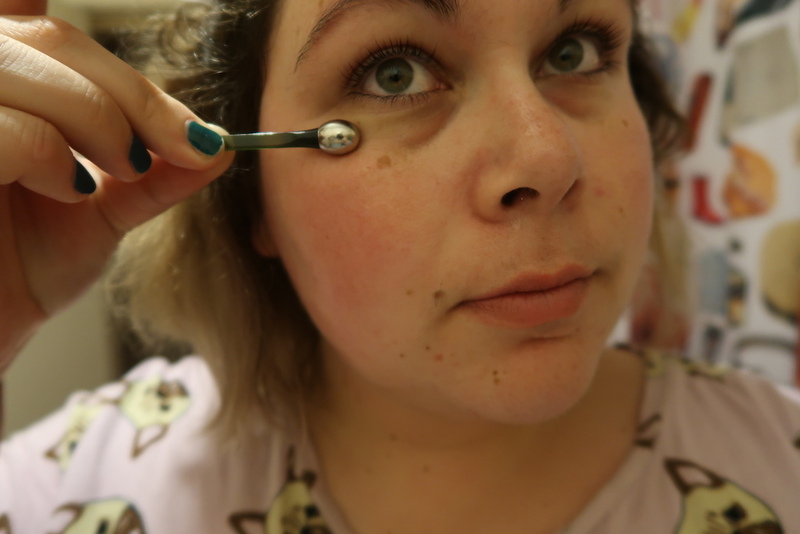 I finish it with a tiny bit of the Mecca Max Eye Max Mascara ($25 AUD). I feel put together without being too over-done, my favorite state of face. I get dressed, grab my bag, and head for the tram to work. Still sad about my wiry hair. 10:15 a.m. – Balmin’ at my desk. My lips start to feel a little dry, so I grab my trusty pouch filled with emergency essentials (band-aids, tampons, my DASH compact mirror) and every type of lip balm/gloss/stick you can imagine. 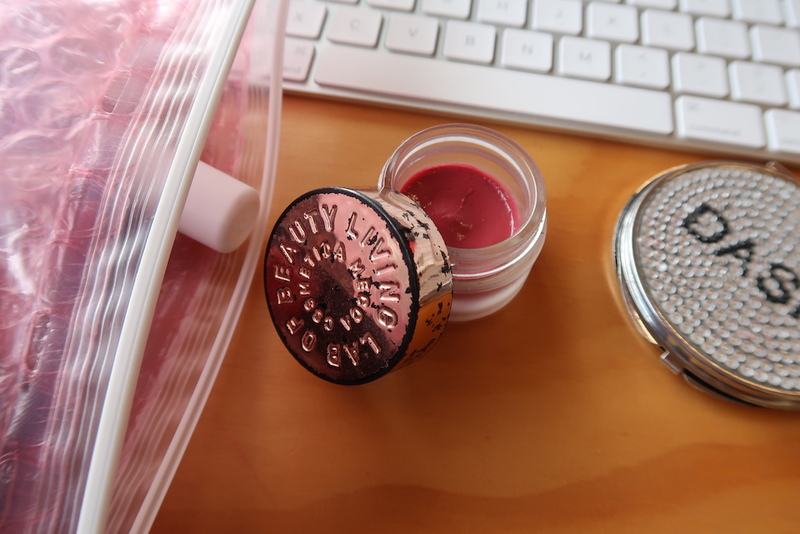 I end up just putting on my beaten up tub of Mecca Tinted Lip De-Luscious ($30 AUD) in Rose. It has a super subtle color and fragrance, and it has SPF 30. I do this a couple more times throughout the day, and besides popping into Le Labo to sniff some stuff on my lunch break and walking out with a sample, it’s the only beauty-related thing I do all day. Around 10 p.m. — Avoiding the removal process. Tomorrow’s my day off so I stay up later than usual, trying to prolong having to remove my new Harry Styles sweater I got after work. It got really warm and then started pouring with rain and that gross humidity combo seems to have softened my hair a little, thank god. 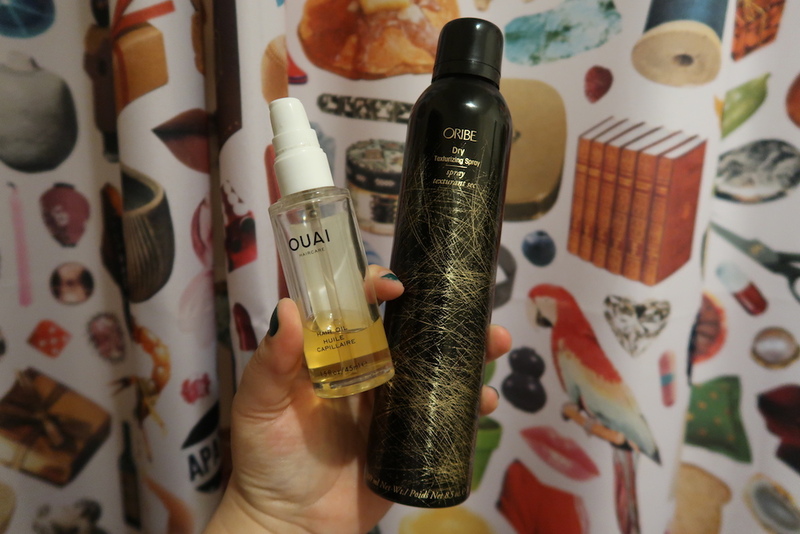 I still pump some more Ouai Hair Oil in the ends and wrap it in a bun before jumping in the shower. I swear by the Banila Clean It Zero ($16) balm to remove make-up. I apply it to my face dry, then jump in the shower and emulsify it with water. My make up just melts off. Then I follow up with a quick wash of more Glossier Milky Jelly Cleanser. 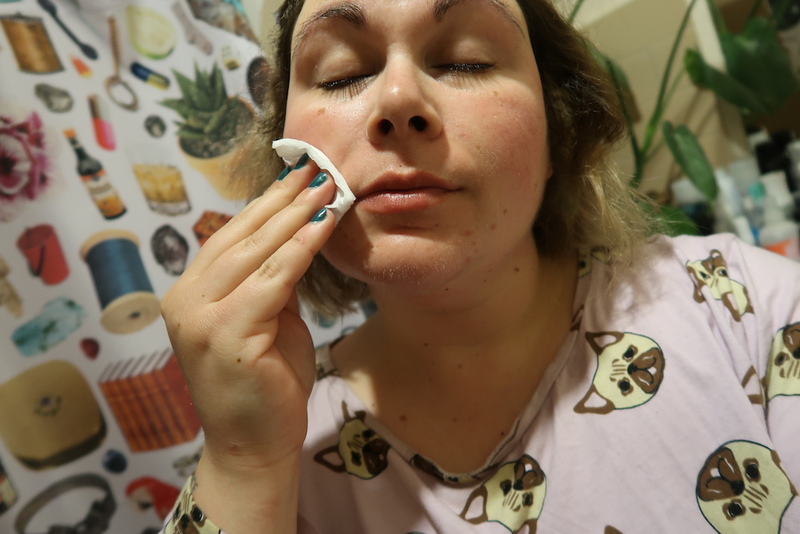 Out of the shower, I shake up the Clarins Instant Eye Make-Up Remover ($30) and, using a cotton pad, wipe off the last remaining chunks of mascara and eyeliner. It is a dream product. Next, also with a cotton pad, I tone using The Ordinary Glycolic Acid 7% Toning Solution ($8.70). I’ve recently started exfoliating using the Dr. Dennis Gross Alpha Beta Universal Daily Peel ($16) but find it a little harsh. Maybe it’s because I’m also using The Ordinary toner at night and Good Genes in the morning? Either way, I’m only using it once a week rather than the recommended three times. I’m on day four of my period and just to stave off any potential hormonal chin breakouts, I drop a little of The Ordinary Niacinamide 10% + Zinc 1% ($5.90) serum onto the lower half of my face. I’m lucky my face isn’t sensitive and remains pretty balanced texture-wise these days, but any sugar I eat around this time of the months makes me break out like nobody’s damn business. I recently graduated from a red ginseng snail essence to this kinda tacky, sticky product and, I swear to god, it’s like my face has been smooched by sweet baby angels since.